Here are this week's greatest articles, wrapped in the greatest way possible. It's Boardview Insights. 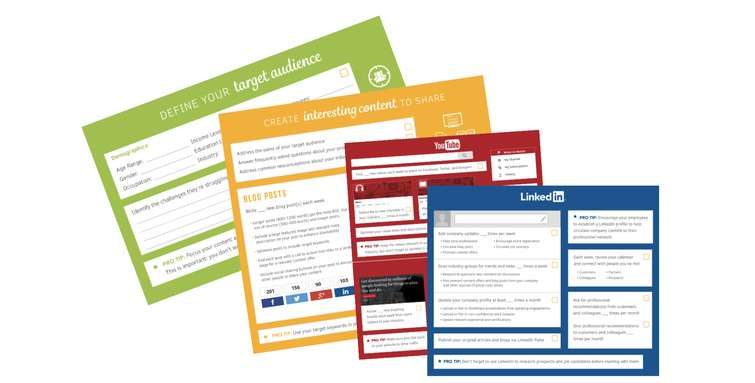 Social media strategy templates help marketers master ‘social’ quickly. Take a four-minute crash course and check out our overview of templates made by the biggest names in the business. Discover which social media execution strategy is best for you. Achieving your strategic goals is hard. You need structure and consistency. Use this simple 5-step strategy template to align BHAGs, Funnels, Channels, Quarterly Targets and Monthly Sprints. Strategy gives direction, Growth Hacking gives speed. Sure, iterating quickly will bring you growth. But you may end up in the wrong place if your trajectory isn’t right to start with. Get your strategy right first... and then start growing. We approve this message! And the most useful metrics for measuring marketing automation performance. 'Flexibility principles' over the 'long term technology roadmap'. The future of MarTech will see an adaptive, loosely-coupled, service oriented architecture tied together with APIs. Aligning Marketing, Mkt Technologists and IT is more important than ever.